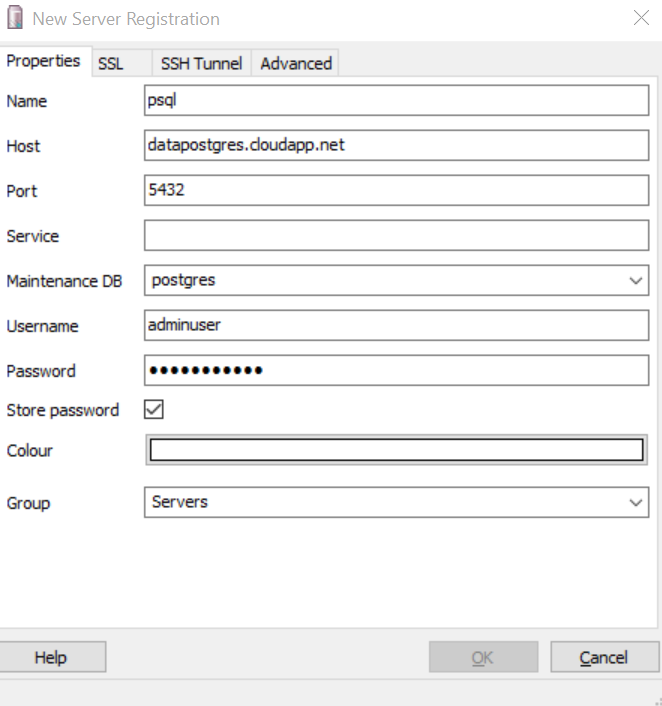 Although you could still follow the instructions below to setup a PostgreSQL database manually you should checkout the fully managed Azure Database for PostgreSQL or find a PostgreSQL solution in the Azure Market Place. 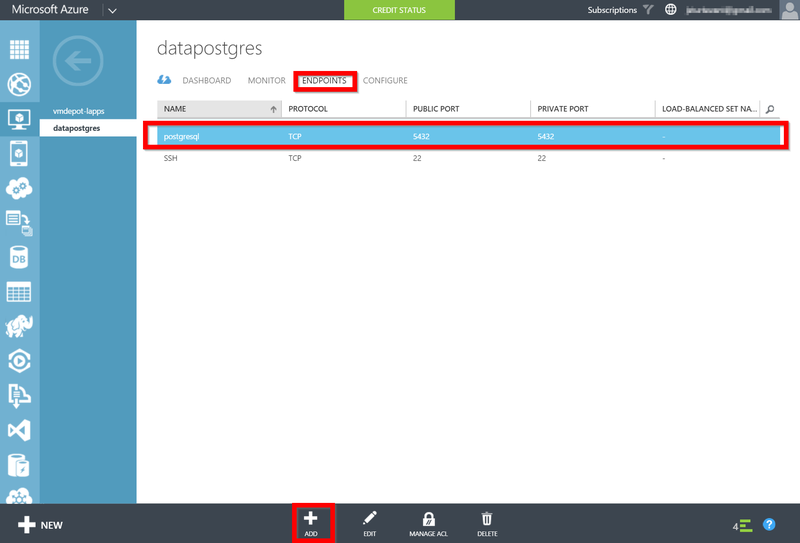 There are a few different ways to spin up an PostgreSQL database in Microsoft Azure. One of the easiest ways is via the MS Open Tech VM Depot. 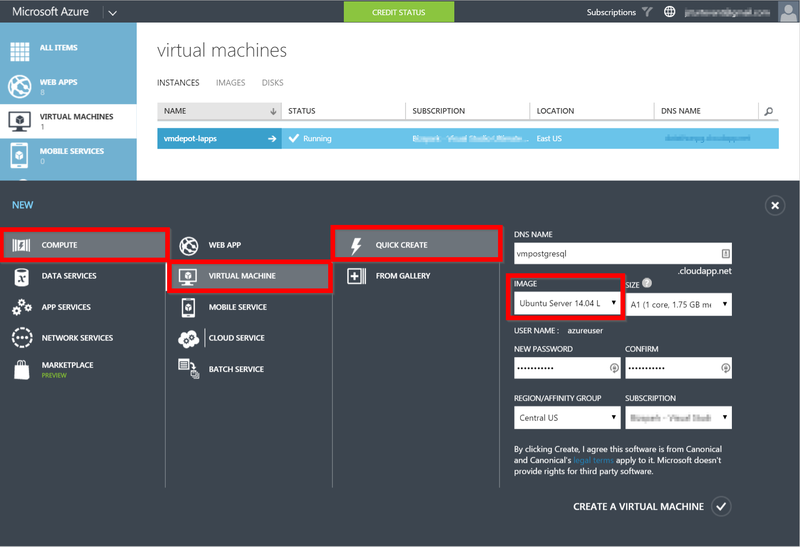 The VM Depot is a collection of preconfigured VM’s that you can deploy to azure and is great if you want to install a complete stack such as LAMP or LAPP. If you choose this option then you can skip down below to configuring PostgreSQL. Another option is to spin up a Linux VM and install PostgreSQL directly. This is a good option if you are only going to install PostgreSQL and don’t need a complete stack installed on a machine. 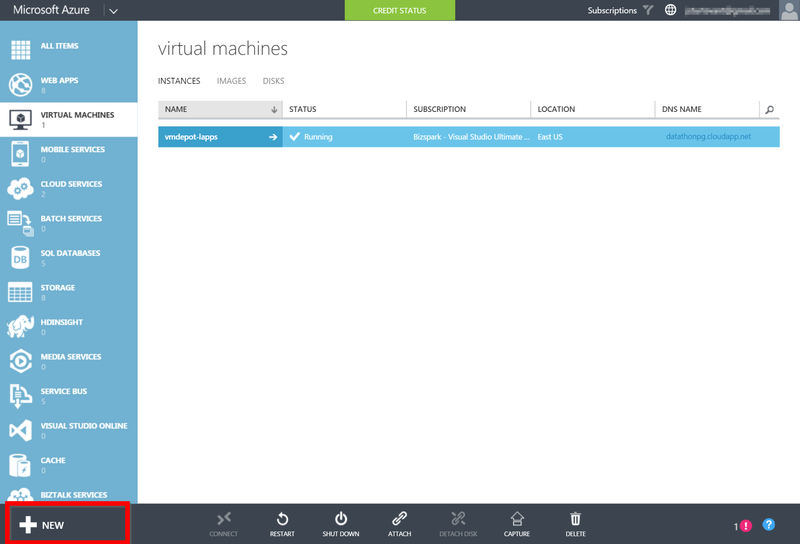 Assuming you have set up you Azure account (Ways to get Azure), setting up a VM is easy. Next select a new Compute Resource -> Virtual Machine -> Quick Create. Give the VM a unique name and be sure to pick your favorite Linux distro. In this case I will be walking through how to set up a Ubuntu Server. 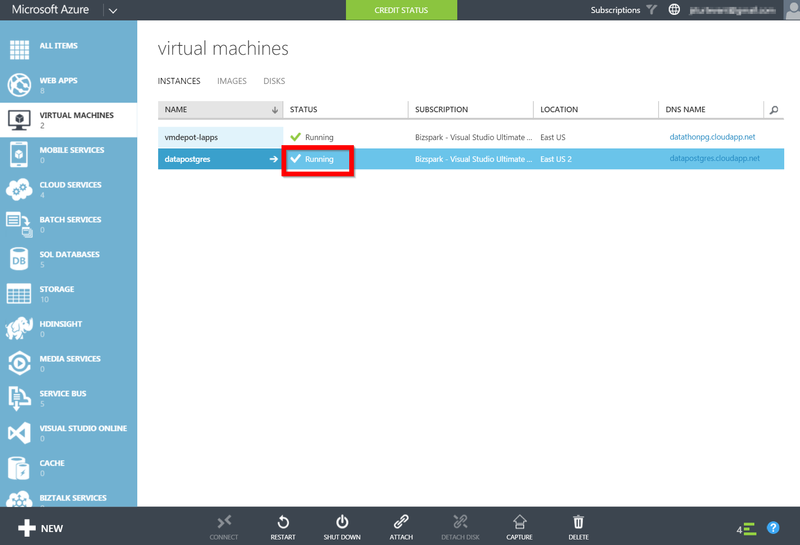 You will also need to provide a password, region to host the VM (select the location closest to you) and your Azure subscription. Click the Create button in the bottom right and a few minutes you will have a VM! Now you can ssh into the machine. If you are on windows you are can use PuTTY. There is a tutorial located here. When you are logging into the VM you will provide the username and password that you created when provisioning the VM in the previous step. Next you need to allow IP addresses to access the PostgreSQL instance via the PostgreSQL configuration file. The path to the configuration file will change according to the version of PostgreSQL (or stack you installed). Using Vi, you should specify the exact IP addresses you want to allow access. You can find you IP address by google/binging ‘my ip address’. Next tell PostgreSQL which IP’s to listen to. In this example I am enabling PostgreSQL to listen to all IP addresses but it would be more secure to specify an exact IP address.